In 2018, the 3rd Annual Roswell Mardi Gras Ball benefited two very worthy organizations that both work for children in North Georgia. Easterseals North Georgia was awarded $21,000 to provide high-quality services to ensure that all children with disabilities or other special needs and their families have equal opportunities to live, learn, work and play in their communities. And Children's Charities was also awarded $21,000 towards the building of an all-inclusive play park in the city of Milton. The park will provide a fun experience for children of all capabilities. In 2017, the 2nd Annual Roswell Mardi Gras Ball benefited two very worthy organizations. 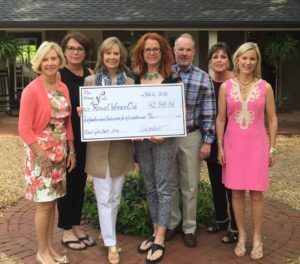 Once again, we had the pleasure of working with Roswell Woman’s Club and were able to award $30,000 to their efforts in educational scholarships and grants, human services, cultural arts, historical preservation and community improvement. We also awarded $20,000 to Skyland Trail, a nationally recognized nonprofit mental health treatment center offering expert, evidence-based psychiatric care alongside a compassionate, holistic path to wellness. In 2016, we awarded over $72,000 to two outstanding organizations as a result of the Inaugural Roswell Mardi Gras Ball. The Emory ALS Center is one of the largest clinical centers for ALS in the United States. The Center provides true multidisciplinary care for patients and families with ALS and related disorders. Their team of neurologists, neurosurgeons, nurses, therapists, and dietitians care for both the physical and emotional needs of their patients and their families. And the Roswell Woman’s Club, which is an all-volunteer, not-for-profit service organization whose common interest is to support our community in the areas of educational scholarships and grants, human services, cultural arts, historical preservation and urban improvement. What an amazing group of caring and giving individuals. 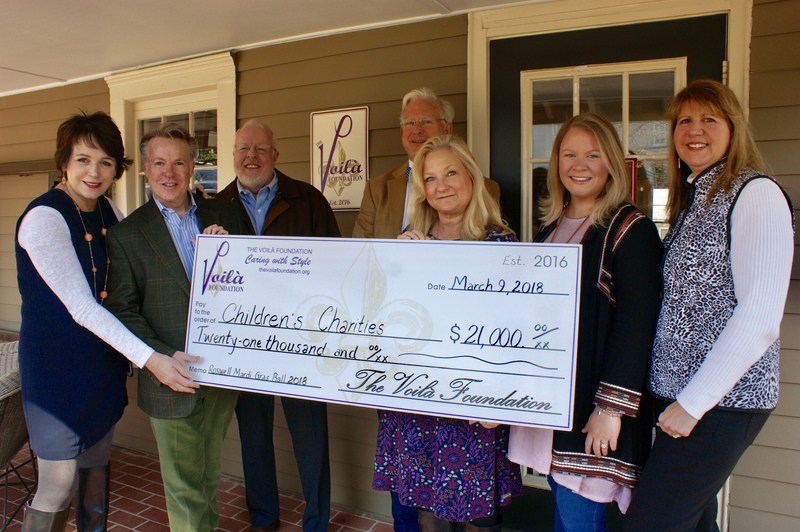 We are honored that The Voilà Foundation chose Children's Charities as one of the beneficiaries for the 2018 Roswell Mardi Gras Ball. They produced a spectacular event at the Country Club of Roswell this past February. Proceeds benefited the All-Inclusive Play Park for the City of Milton that will serve children with special needs and their families in the surrounding 5 counties. The park will provide a safe place to play for children of all abilities and disabilities with elements of play specifically designed to enhance upper body strength and coordination as well as featuring a compressed rubber flooring, sensory center, music center and an expansive main structure that is completely wheelchair accessible. Thank you The Voilà Foundation for your generosity and support! 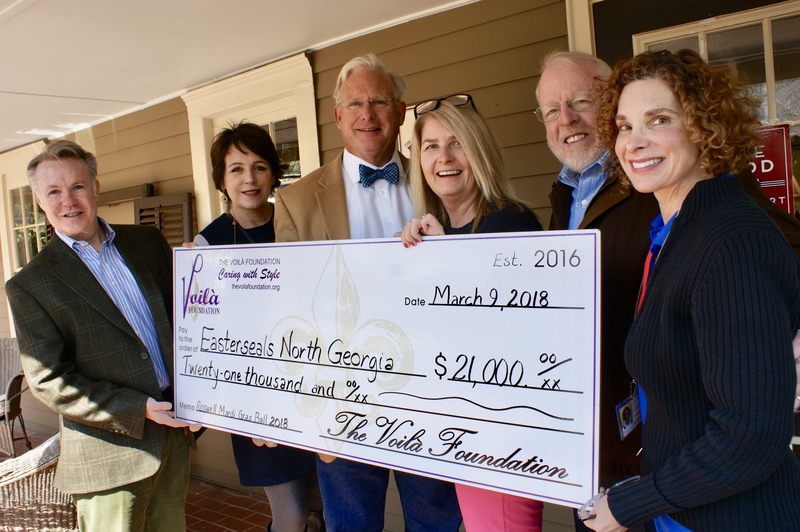 Easterseals North Georgia is honored to be selected as a beneficiary of the 2018 Roswell Mardi Gras Ball. We are delighted to partner with The Voilà Foundation to achieve our shared vision – investing in services and programs to strengthen our communities. Easterseals North Georgia is one of Georgia’s oldest nonprofit organizations, serving our communities for more than 65 years. At Easterseals, we strengthen children and families at the most critical times in a child’s development. We provide comprehensive early education and early intervention services to more than 4,000 children who are disabled or disadvantaged, helping them with these needs. Skyland Trail is honored to be a beneficiary of the 2017 Roswell Mardi Gras Ball. We are proud to receive this recognition by The Voilà Foundation and to represent the Atlanta community that has helped us grow to meet the needs of adults and families with mental illness. The funds will help support The Mark C. West Financial Aid Program, which provides need-based financial aid scholarships to clients in Skyland Trail’s psychiatric residential and day treatment programs. While clients and families are responsible for a portion of their treatment costs, the financial aid program helps fill the gap and enables many clients and their families to access and complete treatment. 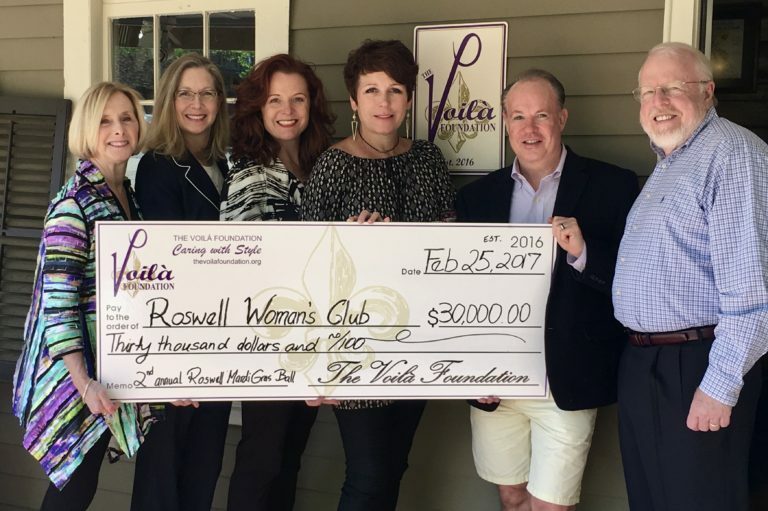 The Voilà Foundation and the Roswell Woman’s Club have like-minded goals: to benefit the communities in which we live and work while making a difference in the lives of others. The 2nd Annual Roswell Mardi Gras Ball was a fabulous, fun, festive fundraiser, and our club is proud to once again be a beneficiary of the special event. From its portion of the proceeds, RWC will award 20 individual scholarships to outstanding college-bound seniors, 6 educational grants to dedicated teachers, and many grants to local nonprofit organizations who serve our community! We applaud the dedication of all those individuals who are “Caring with Style” as well as those who are “Volunteering, Giving, and Enriching Lives”! Amyotrophic Lateral Sclerosis (ALS), or Lou Gehrig’s Disease, is a devastating neurologic disorder that causes loss of voluntary motor function. The Emory ALS Center is committed to providing exceptional multidisciplinary clinical care for patients with ALS and is on the forefront of research to develop new and innovative treatments for this disease. 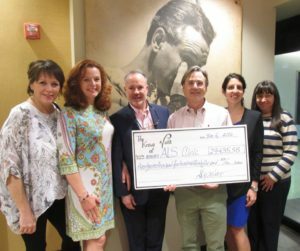 The generous donation from the Roswell Mardi Gras Ball helped provide the Emory ALS clinic with staffing and resources to ensure comprehensive and compassionate care for patients with ALS. We are so thankful. I have had the distinct pleasure of working with the Voilà team for the past several years as a committee member. This is one foundation that I enjoy being a part of and truly cherish. 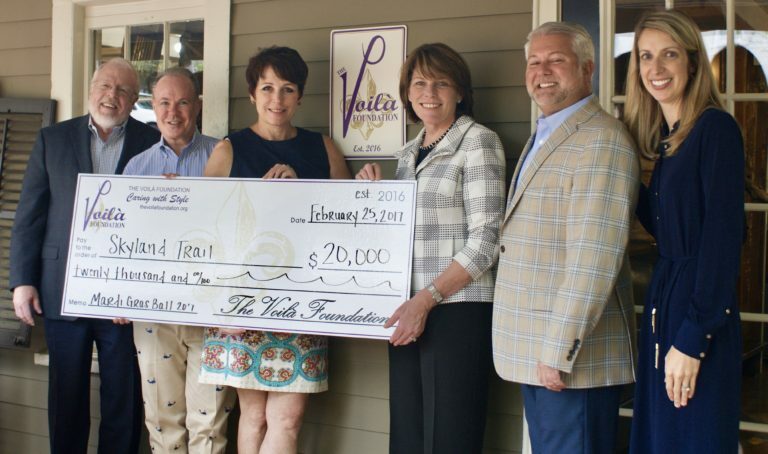 Not only does The Voilà Foundation throw great parties, but also their dedication and enthusiasm has helped raise awareness for many important charities and organizations around our city. It has been a true honor to serve as a committee member and to also see the foundation grow into an important and reliable organization that continues to raise the bar and engage with the citizens of Roswell.